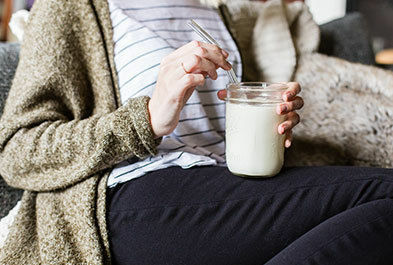 If you've resolved to get more culture this year (that is, cultured dairy products) but struggle with how to incorporate probiotic rich foods like yogurt and kefir into your daily diet beyond the obvious, then perhaps some inspiration is in order. Although yogurt tends to be relegated to a limited role at breakfast (with fruit or granola) or snacks (on its own) it need not be. 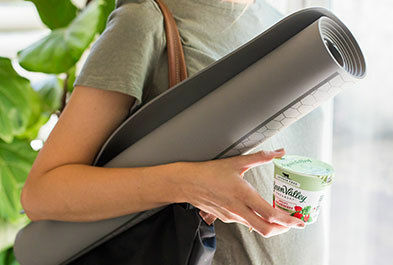 In my home, yogurt and kefir are fridge staples that are called upon around the clock to round out breakfasts, lunches, dinners AND desserts. 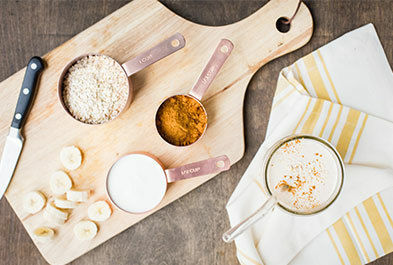 These versatile and healthful foods can pinch-hit for a variety of less-virtuous ingredients; this helps streamline an already crowded refrigerator inventory, ensure a steady flow of calcium and protein into the diet, and add tangy flavor and creamy texture to a host of dishes. Once you see the list below, you'll appreciate why I always keep plain Green Valley Creamery Lactose Free yogurt and kefir close at hand! No time to make breakfast in the morning and too tired to cook at night? Take two minutes to assemble an Overnight Yogurt-Chia pudding before bed, and breakfast will be waiting in the fridge by morning! 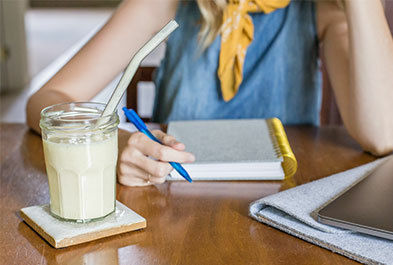 Just mix 2 cups Green Valley Creamery Whole Milk yogurt with 1 ½ TBSPs of chia seeds and 1 TBSP agave nectar. Refrigerate overnight. Serve topped with your favorite crunch—like cacao nibs, pumpkin seeds, dried coconut, pomegranate seeds or hemp hearts. Makes 4 servings. Dress summer slaws with lowfat plain yogurt in lieu of heavy, high-fat, high-cholesterol mayo. Need inspiration? How about this Creamy Coleslaw with Yogurt Dressing recipe? 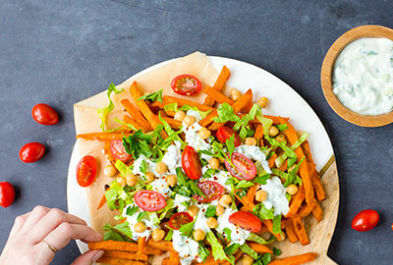 Make a tasty ranch dipping sauce from our low-fat yogurt, and use it to dip crudité veggies! Oven "Fried" Chicken Strips with Ranch Dipping Sauce. Soup and sandwich is an easy and comforting cool weather lunch. 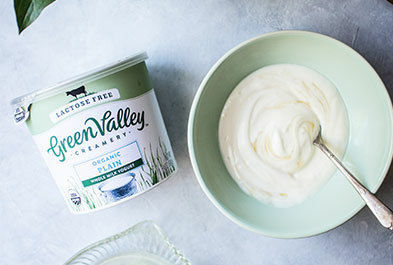 Use plain, Green Valley Creamery Lactose Free lowfat kefir in lieu of heavy cream to make a creamy, low calorie, comforting Cauliflower soup that can be enjoyed by everyone in the family. Just combine 1 large head cauliflower, chopped into florets with a chopped medium onion and 2 cups broth in a large stockpot. Bring to a boil and simmer for 15 minutes. Add 2 cups plain kefir and puree in the pot using an immersion blender. Continue cooking uncovered for 10-15 minutes. Season as desired with salt, thyme and/or freshly grated Parmesan cheese. Use leftover cauliflower soup from lunch in lieu of béchamel ("white sauce") in a Spinach Mushroom White Lasagna for dinner the next night. Use plain yogurt for a tandoori marinade for chicken kebabs. 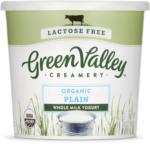 For this, Green Valley Creamery’ whole milk yogurt works best. Look for a pre-mixed Tandoori spice blend in your grocer's ethnic foods aisle and just combine it with yogurt as directed. Use plain yogurt with minced chives in lieu of Sour Cream to top off baked potatoes or chili. 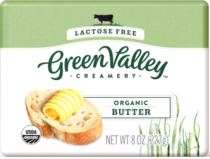 Lighten up your Creamed Spinach with plain, Green Valley Creamery lactose free lowfat kefir while making it lactose-friendly for digestively sensitive dinner guests. Swap heavy cream with lowfat kefir in your pumpkin pie to save 100 calories per slice. Easy as pie! Treat yourself to Pumpkin Pie on a Stick AND squeeze in a serving of orange veggies painlessly! My frozen Pumpkin Paletas have only 60 calorie per pop, thanks to lowfat Green Valley Creamery Lactose Free kefir. Looking for a brilliant high-protein, high-calcium snack in the under 200 calorie range? Love peanut butter and chocolate? Whip up my favorite, pudding-like Peanut Butter Chocolate Parfait with plain, lowfat Green Valley Creamery Yogurt; it tastes far naughtier than it is!